Cartridge gun dispensers are designed for the controlled application of pastes, gels, adhesives and fluids. High quality cartridge gun dispensing systems. Our guns are covered by a one year warranty. This version gun is for all 10oz size industry cartridges or pre-filled 310ml silicone tubes. 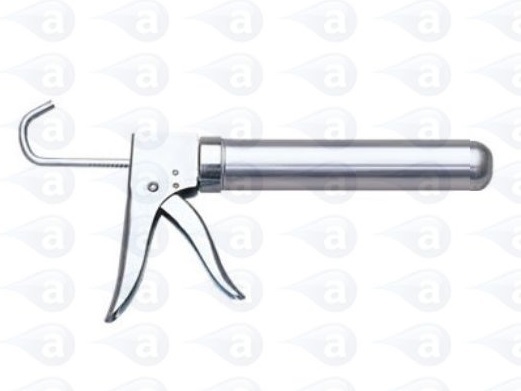 A high quality manual cartridge gun with quick attach threaded retainer and slight reverse rod action to reduce oozing. 10oz size (310ml/ 310cc approx). Suited to controlled lines or potting of most adhesives, fluids, sealants, RTV, grease, gels, long cure or single part epoxies, mastics and potting compounds.